Every single child is unique, and our approach is, too. 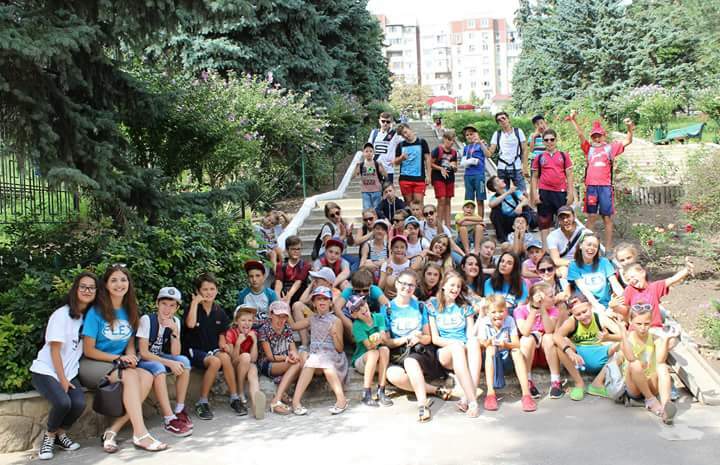 FLEX alumni in Moldova filled their summer preparing for the Game On Summer Camp. 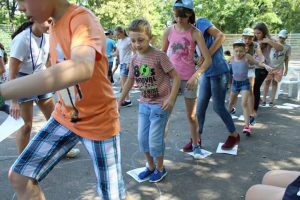 This, now, annual event brought together 42 children to develop their English language skills as they supported each other in their personal development and leadership. The camp is funded in part by the FLEX Alumni grants program and a grant from the U.S. Embassy in Chisinau. Three generations of FLEX alumni, led by Nicu Gaibu ’12 and Inga Daranuta ’13 made the camp a success! This project was a successful because of the wonderful partnerships that were formed in developing and executing it. 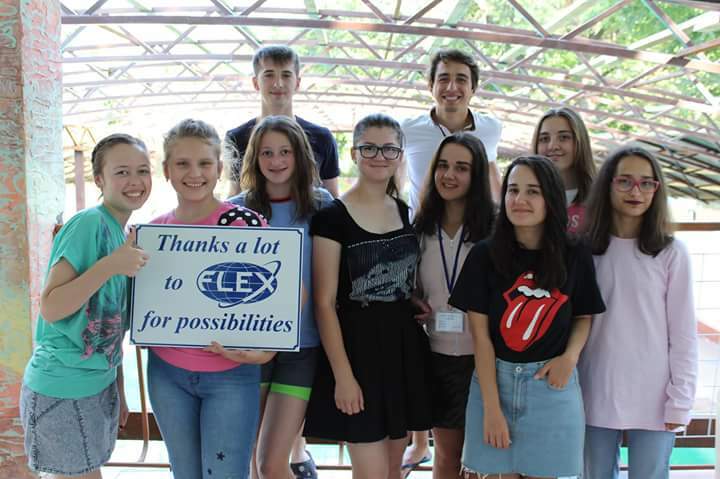 Game On Camp organizers would like to thank, the U.S. Embassy in Chisinau and the U.S. Department of State through its funding of the FLEX Alumni Grants program for the financial support of the project; camp collaborators including, Ana Indoitu ’11 for presenting the Diamond Challenge Competition, Representative of the Energy and Biomass Project Lina Acalugaritei who spoke to students about sustainable and renewable energy sources, Psychologist Viorica Mocanu who presented on civic education and social responsibility, Actor Eduard Cernat who taught a class on body language and effective communication, Teacher Ala Chirvas who gave students an imaginary tour throughout the history of mankind, English teacher Nadejda Botnaru who assisted with the English club activities and methodology, and campfire song leader Artiom Ceban; and the American Language Center and Creative Development Association for their support with supplies and the Media Production and local TV Channel JurnalTV for monitoring and program promotional tools. All involved in this project benefited from it in one way or another. Organizers hope to continue the camp next year, because GAME ON must GO ON.